UK registrations of new tractors (over 50hp) in December 2018 were well below their level in the same month a year ago. The UK-based Agricultural Engineers Association said that the December 2017 registrations were inflated by the inclusion of a large number of machines being pre-registered in advance of the entry into force of new regulations. The December 2018 total of 849 machines was 38% down year-on-year but otherwise was the highest figure for December since 1994. The total number of new tractors registered in the UK in 2018 reached 12,102. This was just under 1% higher than the total for 2017 and the largest annual figure in four years. This figure will also indicate a reasonably healthy market for secondhand tractors, many of which cross the Irish Sea. Despite the continued uncertainty in the agricultural industry, positive March tractor sales mean that 2019 sales of new units are up 5% on the same period in 2018. Peter Thomas Keaveney reports. Despite continued uncertainty in the agricultural industry, new tractor sales have risen 5% in the first three months of the year. 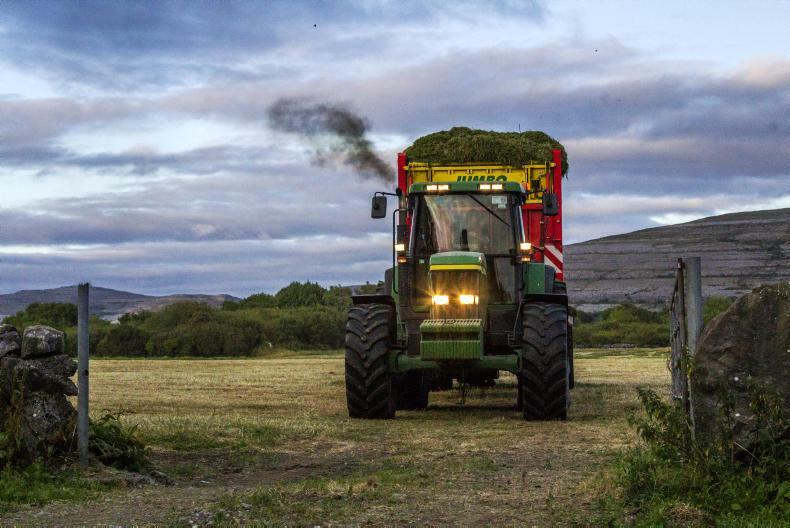 Based on Motorcheck.ie figures, a total of 915 new tractors have been registered in Ireland for the first three months in 2019 in comparison to 871 tractors in the same period in 2018. Analysing Motorcheck’s figures, we see that Massey Ferguson is leading the market to date in 2019, with a total of 190 new tractors sold, up from 148 tractors during the same period in 2018. New Holland is slightly behind in second place, having sold a total of 184 new units, down from 210 new units in the same period last year. Meanwhile, in third place, John Deere has sold a total of 181 new tractors, down 14 units from the 195 new tractors it sold in the same period in 2018. 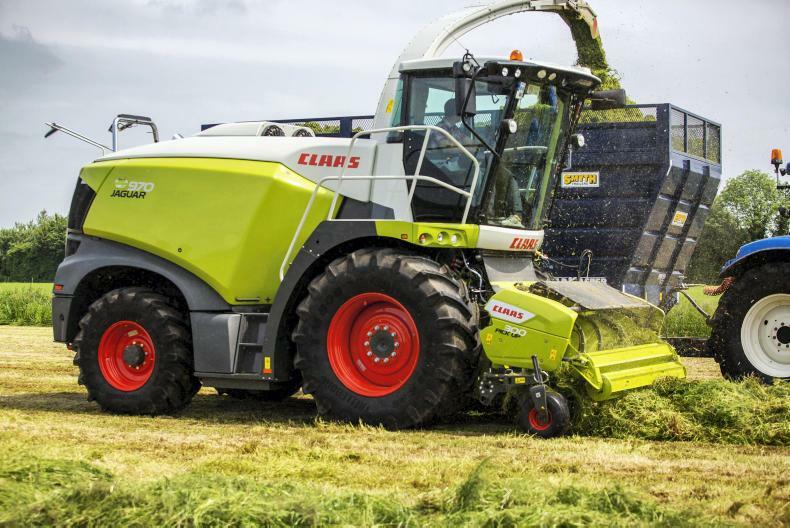 Looking at what models Irish farmers and agricultural contractors are buying, the Claas Arion range has proven most popular, with a total of 48 units sold up until the end of March. In a close second, John Deere 6155M and 6155R models have sold a total of 43 units. In third, New Holland has sold a total of 34 new T7 tractors, while the New Holland T5 has claimed fourth position with 28 new units sold. 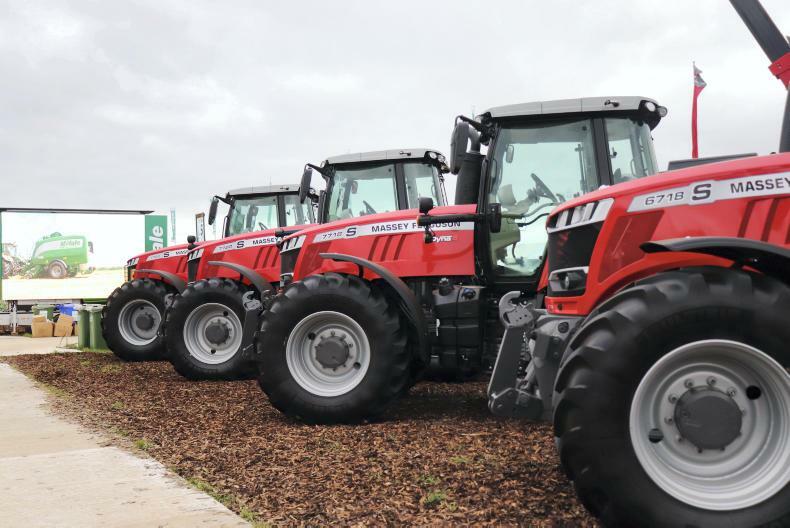 The Case IH Maxxum commands fifth position, with 27 new units registered. Lagan Bros in Derry have purchased Europe’s first 970hp John Deere 9900i forager. Peter Thomas Keaveney reports. Lagan Bros have purchased the first new top of the range John Deere 9900 SPFH sold in Europe. Pictured are brother Seamus, Michael & Paul Lagan from Moneymore, Magherafelt, Co Derry. 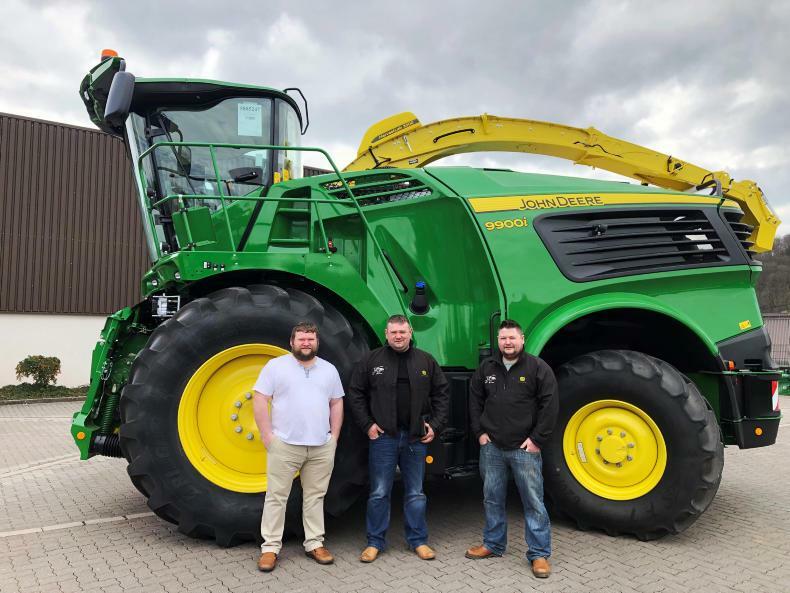 Lagan Bros, based in Moneymore in Derry, have purchased the first new top-of-the-range John Deere 9900i SPFH sold in Europe. Lagan Bros is run by three brothers – Paul, Michael and Seamus – who attended the recent Golden Key handover at the Zweibrücken factory in Germany. Last autumn, John Deere announced four new self-propelled forage harvester models from 625hp to 970hp. Lagan Bros’ new 9900i forager is the largest of the new series. Previously running a 2017 8800i, the brothers updated their forager as the latest series sees a significant boost in power. The 9900i is powered by a 24.2l V12 Liebherr engine with a power output of 970hp. These new foragers have a new styling design with a large crop channel of 850mm. They also feature a reinforced drivetrain and an improved mainframe. Solely being used to harvest grass for the Lagans, the new forager has 64 knives. Michael Lagan explained that they needed the large number of knives in order to consistently chop the grass to a length of 4mm for local AD plants. This is the brothers’ third harvester to have John Deere’s Harvest Lab NIR sensor. This sensor is used to document real-time measurements of crop yield, moisture and other crop constituents such as protein, starch, fibre, etc. Lagans will be taking delivery of the 9900i towards the end of next week and hope to be out working the machine sometime in the first week of May. Peter Thomas Keaveney takes a look at how sales of new self-propelled forage harvesters are performing so far this year in comparison to the past seven years. Despite the uncertainty looming over the agricultural industry with Brexit, sales of new self-propelled forage harvesters appear to be on track to hit a record high. Manufacturers and importers of foragers have said that it has been a great year to date, despite the uncertainty. The exact figures of sales of new harvesters cannot be officially verified until all of the machines are on the island and have been registered. However, the Irish Farmers Journal understand that there has been a total 45 new machines sold, with 22 of these being registered to date. In addition, industry sources have noted that a number of deals are still ongoing. Based on selling 45 new foragers, this would represent an increase of 28.6% on 2018 figures, when a total of 35 new units were sold. If we take a look back at sales figures from the past seven years, 2017 stood out as being the best year, with 38 new machines sold, while 2012 was the worst year with sales of new foragers only reaching 22 units. Taking a look at the various brands that contractors are buying, Claas has been leading the way for quite some time now, with this trend looking to continue for the 2019 calendar year. Fighting for second place are John Deere and Krone. It’s worth noting that Krone only broke on to the Irish market in 2016, but has built up a good reputation and is constantly building its market share. After selling one of its 911hp flagship foragers last year, it is believed New Holland has sold a number of new harvesters this year. It’s believed that there have been no reported sales of the Fendt Katana. Meanwhile, in the self-propelled mower market, Krone enjoyed a great year of sales in 2018, selling a total of 10 units. It is understood 2019 sales of new Big Ms are currently on par with 2018 in the Republic, while another 10 new units have been sold in the North.